There’s a new sheriff in town and his name is VFD. Do you know anything about the VFD? I should first clarify that the VFD is not the Volunteer Fire Department. If you google “what is the VFD” you will find the top ten responses having to do with variable frequency drive-that is not the VFD I am talking about. How about a little quiz to familiarize yourself with what the VFD is and what it has to do with YOU? Here is a clue. I have something to do with the VFD and YOU! True or False 2. The VFD was created to make more money for veterinarians. veterinarians to issue all VFD’s in the context of a valid VCPR. to make sure antibiotics are used correctly in the feed. 1. The VFD, Veterinary Feed Directive, aims to accomplish three goals with these changes: promote judicious use of antibiotics, protect public health and help limit the development of antimicrobial resistance. Can you see where you fit into this conversation? 2. Veterinarians are very busy people. They now carry a paperwork burden of making sure we have the document needed for shared class antibiotics used in the feed for control, treatment and prevention of disease. Our veterinarians had to increase personnel to make sure all of the paperwork is completed for each one of their clients. We pay a small fee to help cover the cost of the paperwork and computerized documentation. 3 & 4. Yes, the VFD is about increasing veterinarian-client-patient-relationships (VCPR) so that you and I, the consumers, can be reassured about how antibiotics are used in food animals. For most of us the VCPR has already been an important part of how we take care of our cattle. We spend time with our veterinarians developing vaccination protocols as well as treatment protocols. The FDA, Food and Drug Administration, regulates antibiotic use in food animals. The ADAA, Animal Drug Availability Act, provides flexibility to the way FDA regulates new animal drugs and medicated feeds. 5. The VFD provides the documentation for cattle farmers like my husband and I to makes sure we are using antibiotics responsibly. I am a veterinary technician responsible for administering antibiotics when our cattle get sick. I am also a consumer and I have children and grandchildren that purchase beef in the grocery store. The VFD further strengthens the commitment of people like my husband and I to provide the safest and healthiest beef we can. commitment to care leads to a lower incidence of disease and reduced use of antibiotics. 6. My husband and I attended two meetings about the VFD in addition to one-on-one conversations with our veterinarians and reading numerous articles in farm magazines about the implementation of the VFD. 7. Farmers are used to acronyms like the FSA, NRD, NRCS, CRP, LDP, BQA, LRP and everyone’s favorite, the IRS. What’s one more acronym to remember? If you’d like to see a list of acronyms from the USDA you can go here. 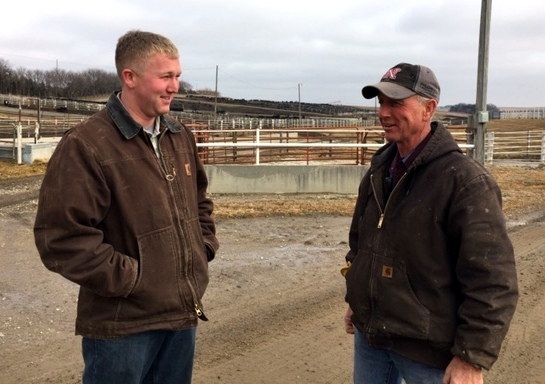 There is a new sheriff in town and he’s making sure things run smoothly from the farm to the fork so consumers, like you, can have confidence in the beef you eat. The presence of the VFD reassures farmers like us that we are continually monitoring antibiotic usage so that your family and mine will eat well and live well. 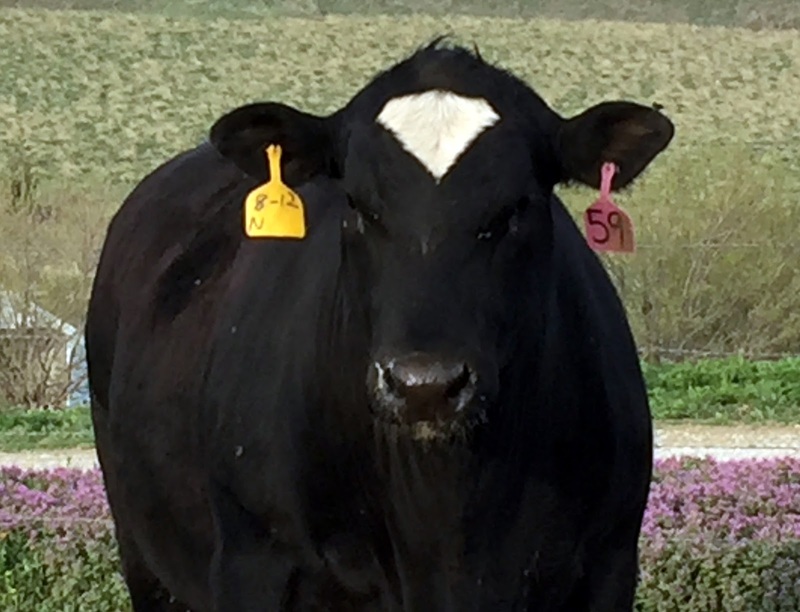 Our goal is for our cattle to thrive so you can thrive and we’ll do that through the VCPR from the VFD thanks to the FDA and USDA in the hope to make the CDC and YOU smile! i didn't know much about the VFD and i'm glad you shared this because now i have better knowledge about it! the pictures were nice too. have a good day. farming is one of te toughest job i think so. But with that you feel loved because when you get attached to animals they give you their true love. I was not aware of VFD before so thanks to you for sharing this information with us.